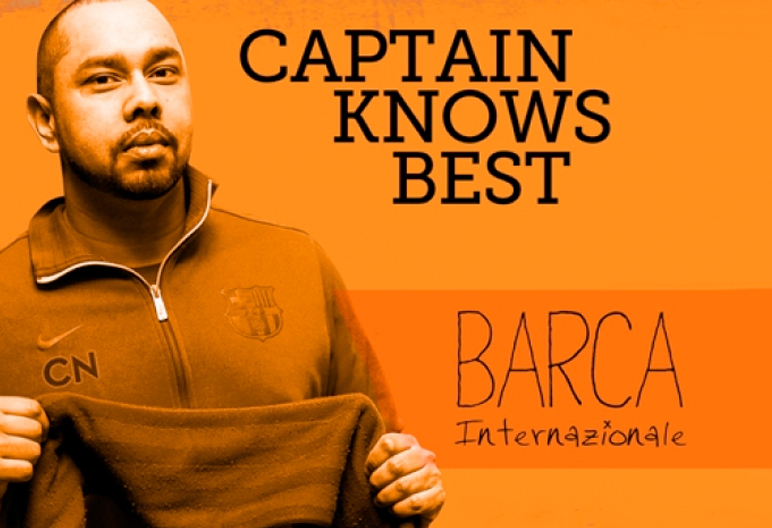 In our next edition of “Captain Knows Best”, we interviewed Chris Northey of Barca Internazionale from the Wed/Thu Men’s League Division 1. Let’s just start off by saying that this team could be one of the best if not THE BEST TEAM in all our leagues. We know a few of you will debate this, but Chris believes this and will always remind you of it! To prove it, Barca is usually at the top of the division every season. They have won multiple championships in our indoor and outdoor leagues. The one key consistent factor is the strong organizational and recruiting skills of Chris. He always fields a strong lineup and makes sure the guys are ready to play game in, game out. This season with no real surprise they are in first place with an unbeaten record of 8-0-1 and on their way towards another league title. 1. How long has your team been playing together? Our team has been together since 2005. We didn’t play for a few years after 2009 but rejoined in 2013 back at the Polson Pier where we played originally in 2006. 2. How did you and your team come up with your team name? It’s a combination of my two favourite teams Barcelona (Barca) and Inter Milan (Internazionale). Also, all of our players are from different backgrounds so the Internazionale took on a double meaning since most of the squad are from around the world. 3. Describe your team in 3 words. 4. Give us a brief example of one of your best pre-game pep talks. Three rules every player hears when they first play for us. One, don’t lose the ball. Two, play your position. Three, communicate. 5. What does your team warm-up consist of? Praying everyone makes it on time for the game. 6. What kind of formation do you play? Keeping it simple is best especially for indoor, so 2 – 2 – 1 flat. 7. Which of your teammates still has dreams of turning pro, and why? Peter Christidis, Raheem Rose and Djimi Guedei. They are all still under the age of 23 and are exceptionally talented and skilled mixed with the right amount of athleticism. 8. Who is your biggest rival in the league, and what message do you have for them? It would have to be Toronto Eye Care because we have played their team the most since joining the league 2 years ago and they always make it a close game. As for the message, we need more teams like Toronto Eye Care in Division 1.